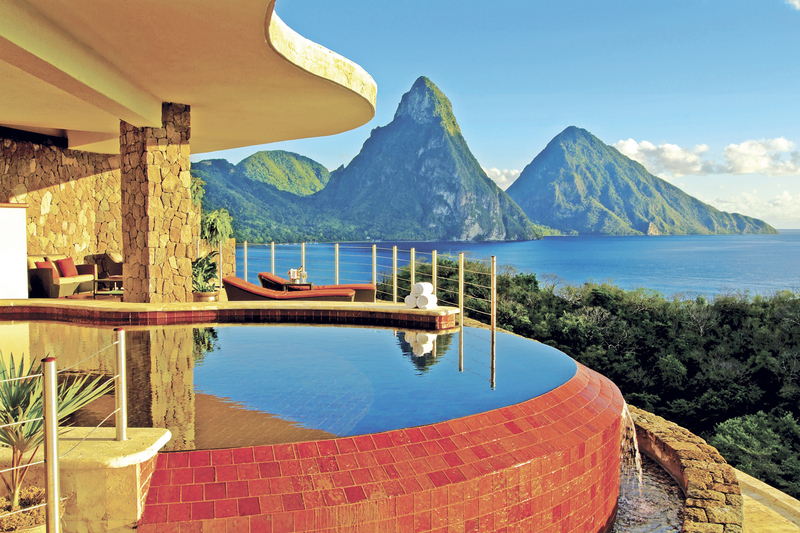 Today (March 19, 2014): Review of Jade Mountain (St Lucia). Jade Mountain delivers romance in a very unique way from its hilltop location in a verdant corner of the tropical island St Lucia. 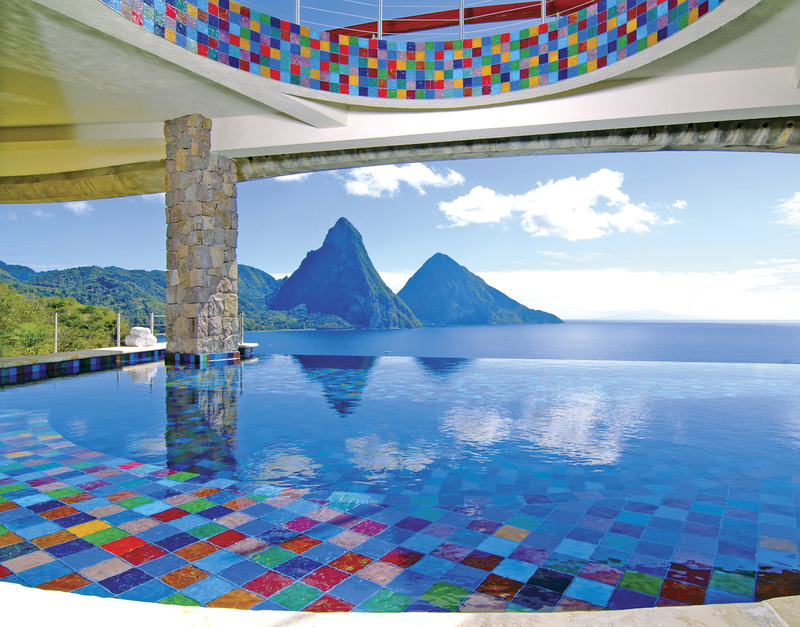 The impressive design by architect-owner Nick Troubetzkoy, with individual bridges leading to exceptional infinity pool suites and rugged stoned-faced columns reaching towards the sky, makes Jade Mountain one of the Caribbean’s most mesmerizing resort experiences, especially for honeymooners. 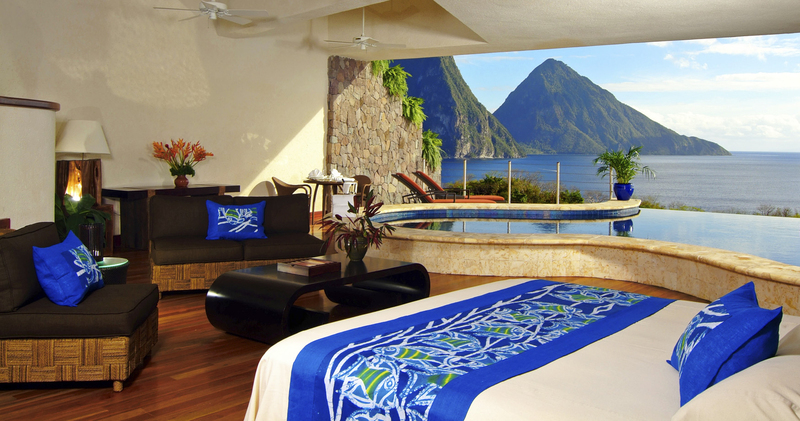 With the fourth wall entirely absent, Jade Mountain’s 29 suites (called “sanctuaries”) are stage-like settings from which to embrace the full glory of St Lucia’s twin peaks, the Pitons World Heritage Site, and of course, the blue Caribbean Sea. 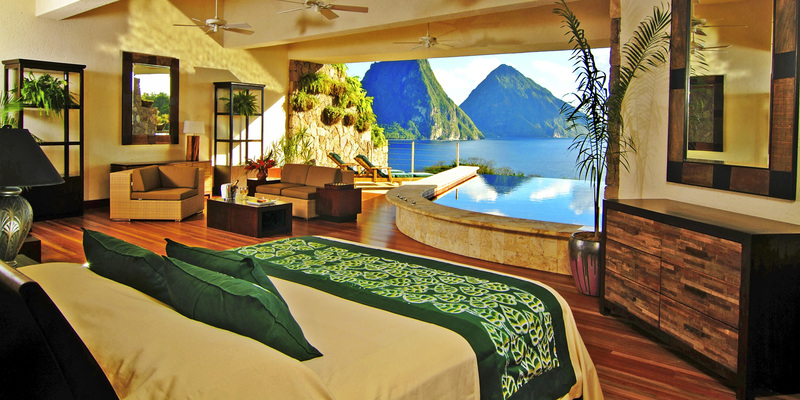 Jade Mountain features in my top 10 lists of hotel rooms with the best views, the world’s best luxury hotels, the world’s best resorts with private plunge pools, the world’s best honeymoon resorts, and the most luxurious resorts in the Caribbean. The 29 suites or sanctuaries (categorized as Sky, Star, Sun, Moon and Galaxy sanctuaries, depending on their size) are the real attraction of the resort and have appeared on the cover of many travel magazines as they are so uniquely beautiful. 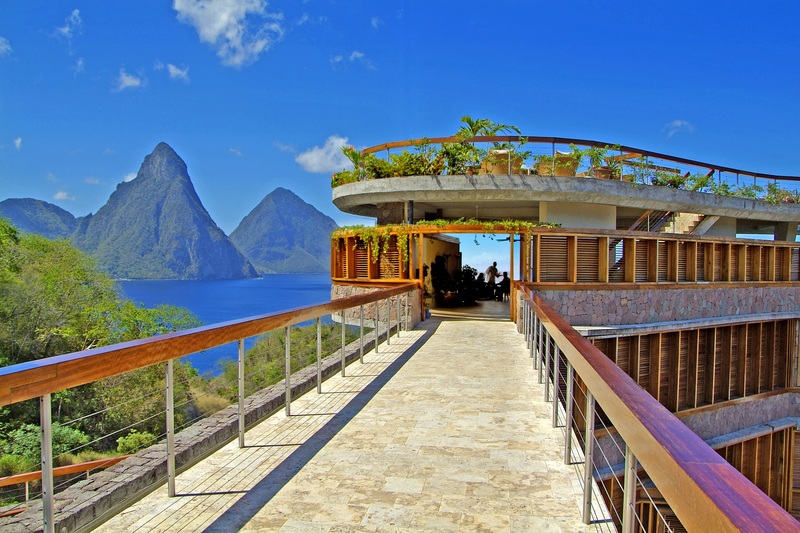 Not one sanctuary is the same from an architectural point of view, but they do have one feature in common: their 4th wall is completely open, allowing unparalleled views of the Pitons World Heritage Site. All sanctuaries (with the exception of the five Sky suites) come with private in-room infinity pools, ranging from 450 to 900 square ft (42 to 84 square m) and stretching out to maximize the stunning views while you’re swimming. The complimentary minibar is fully stocked and every day you get a new snack box (which I thoroughly enjoyed). 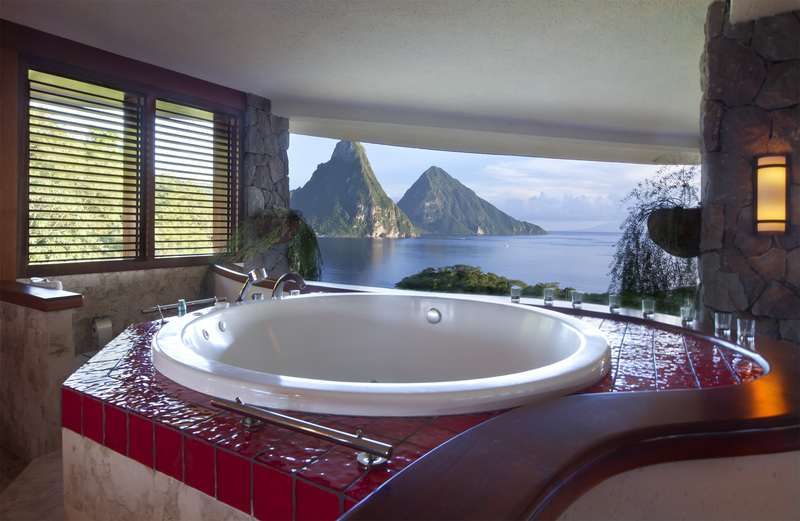 Just like the sanctuaries themselves, the bathrooms at Jade Mountain are individually designed and vary slightly in lay-out and size. The open floor design allows the bathroom to become part of the sanctuary experience and to offer amazing views whilst showering or soaking in the chromatherapy whirl pool tubs. The service at the resort is very good and upon arrival, guests are appointed a butler. In addition, you will receive a ‘firefly’ communication device, so that you contact your butler at any time whilst the service team remains as unobtrusive as possible. Food is exquisite. 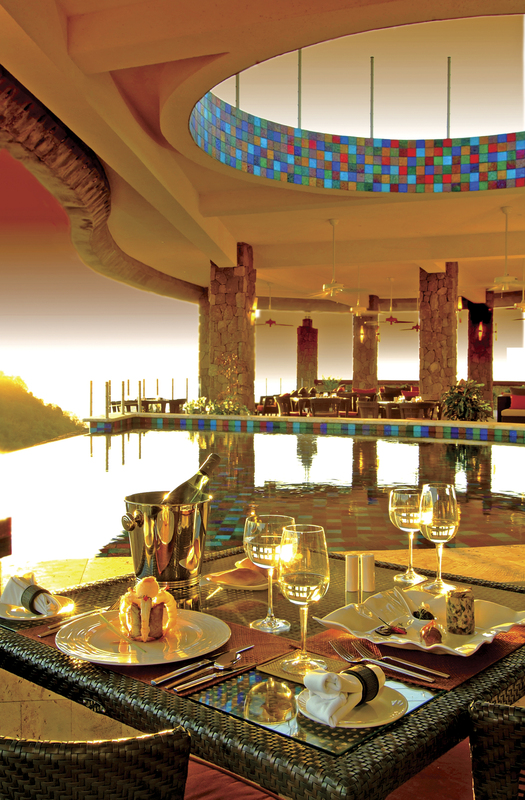 The resort has one restaurant, the Jade Mountain Club. 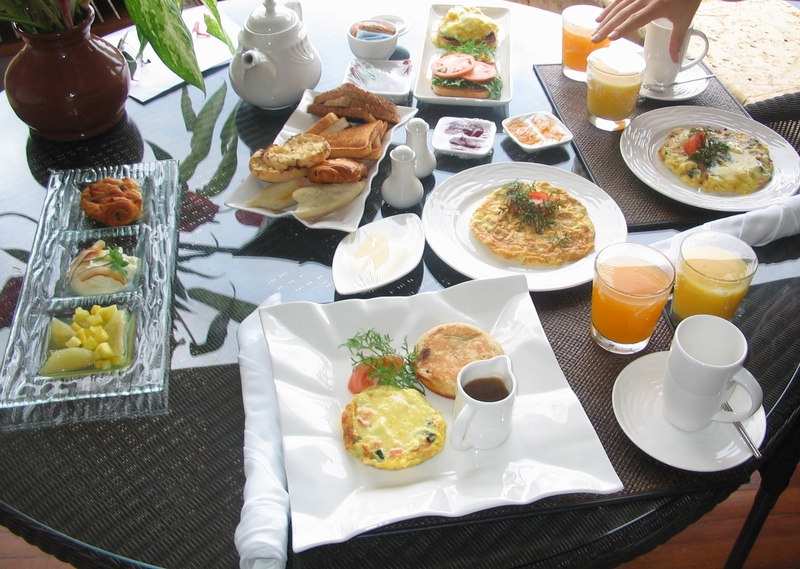 It is open for breakfast, lunch and dinner (but all food can be served in your room as well, so no need to leave your sanctuary during your honeymoon). The restaurant’s cuisine is a modern fusion with Caribbean influences. 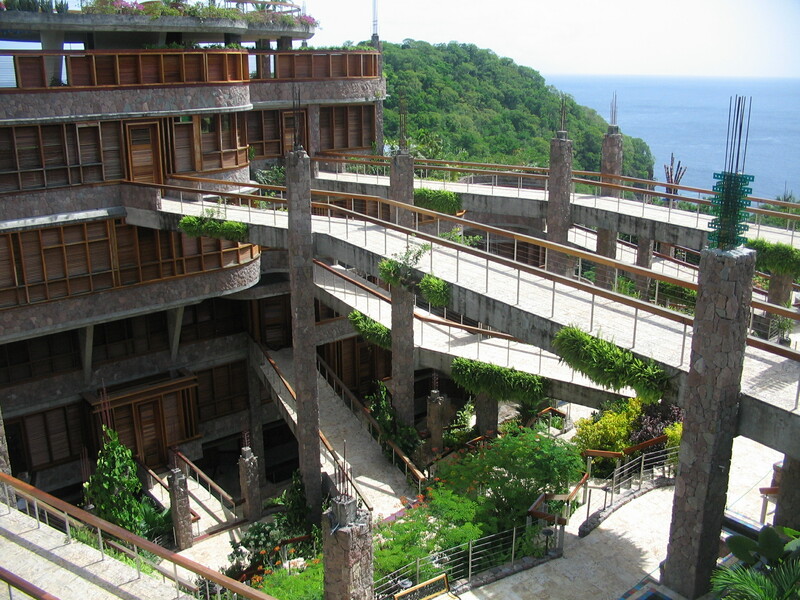 All vegetables come from Jade Mountain’s private farm. There is live entertainment on selected evenings, ranging from jazz musicians to a classical acoustic guitarist. The rooftop Celestial Terrace is the perfect spot for sunset cocktails or star-gazing (look out for shooting stars!) while enjoying the breathtaking panoramas. 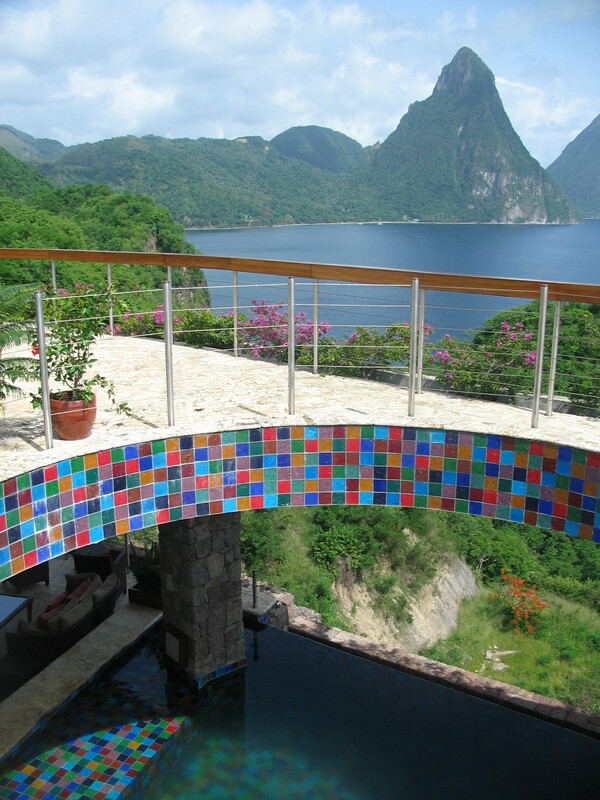 The orientation of open wall is towards the east/southeast (offering an amazing view of the Pitons). As a consequence, rooms do not get a lot of sunshine during the day (only some sun in the morning). You have to stand or relax at the edge of your terrace to catch the sunshine. So, while I was looking forward to lounge all day long in the sun on the terrace of my room, that was not possible. I visited the resort in July, so perhaps that in winter, when the sun is low in the sky, more sunshine on the terrace and in the room is possible. Privacy might be a problem for the sanctuaries located on the lower floors (as their terraces are visible from the floors above them). 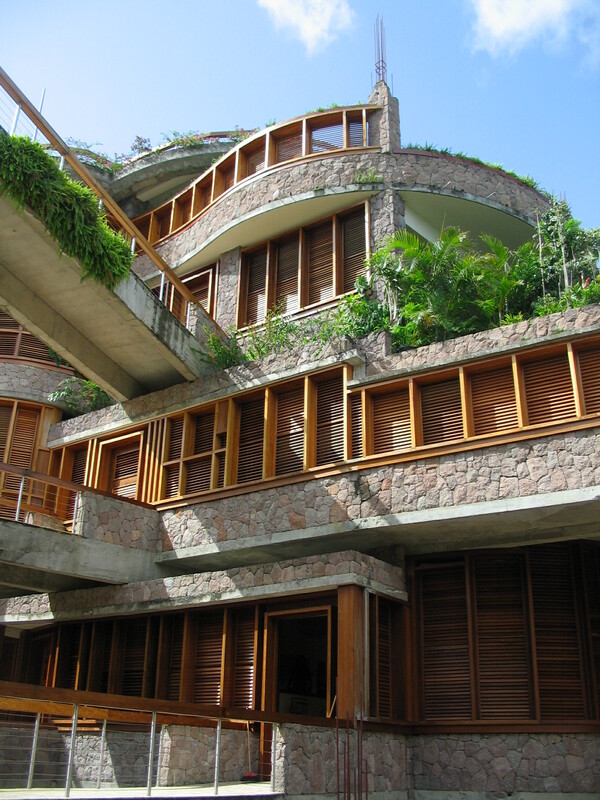 Jade Mountain is built on a cliff above its sister property, Anse Chastenet, and the beach and most amenities are shared with the older, less glamorous sibling and its guests. This may be problematic for those looking for a hyper-exclusive experience (and not willing to mix with the more modest clientele of Anse Chastenet), but it has the benefit of a larger selection of restaurants to choose from during your holiday (albeit the food is nowhere as good as in Jade Mountain’s restaurant). Editoral note: the Jade Mountain culinary team now oversees all of the restaurants of the Anse Chastenet property as well (which was not the case yet during my visit). The five Sky sanctuaries do not have a private pool in the room (which is clearly mentioned on the website). But for the guests staying at those suites, there is basically no pool to use. The only communal pool in the hotel is an infinity pool located within the restaurant, and it would be rather weird to take a swim in that one. The on-site beach club, which has plenty of comfortable loungers lined up in rows by the water, is nice but not stunning: the sand it is not white but rather gray. In addition, the beach is not private but public (as is the case with all beaches in St Lucia) and there are locals present trying to sell you stuff as well as motorized boats that offer taxi services. St Lucia does not have the beaches of let’s say Antigua or the Maldives, although the beach between the Pitons – a short boat ride away – is quite spectacular because of its setting between the 2 towering Piton peaks. More than 300 stairs separate the beach from your sanctuary, so if you do not want to walk, you will be at the mercy of your butler who will promptly arrange a shuttle to pick you up. There are no televisions, radios or telephones in the infinity pool sanctuaries and sky suites in keeping with the overall resort experience. While this is perfect for those who want to detach from daily life, it may be annoying for some. WiFi didn’t work properly during my stay. The private infinity pools are architecturally stunning but very cold, so cold that only the brave ones can take a dip during the heat of the day. Heating of the pools, so that you can take a dip at any moment of the day or night, would definitely enhance the experience. Transfer to/from Hewanorra International Airport takes about 45 to 60 minutes on a winding road. Especially during the last 3 miles, the road is not paved, bumpy and narrow. Alternatively, if you want to avoid the drive, the resort can arrange a private helicopter transfer. Save money: read my tips for getting the best deal at a luxury resort like Jade Mountain (and receive many free perks). Save money: enjoy free VIP amenities when booking via Virtuoso (e.g. room upgrade, daily breakfast, $100 USD spa credit, early check in, and late check out). Request a higher located suite to maximize your privacy and the views. 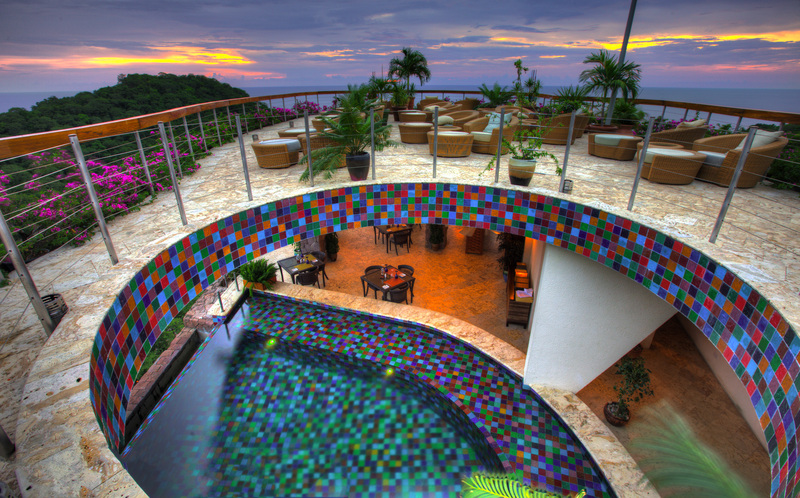 Book a sanctuary with private infinity pool (not a Sky suite). Make use of eye mask and ear plugs that the hotel provides because it gets bright around 6AM and the birds can be quite loud (you’ll need them both to get good rest). It’s a small price to pay for the amazing feeling of being really close to (and literally immersed in) a gorgeous natural environment. Pre-book a meal plan to save money and so that you feel zero guilt ordering everything on the menu (which you will want to do). The resort is especially well suited for honeymooners. 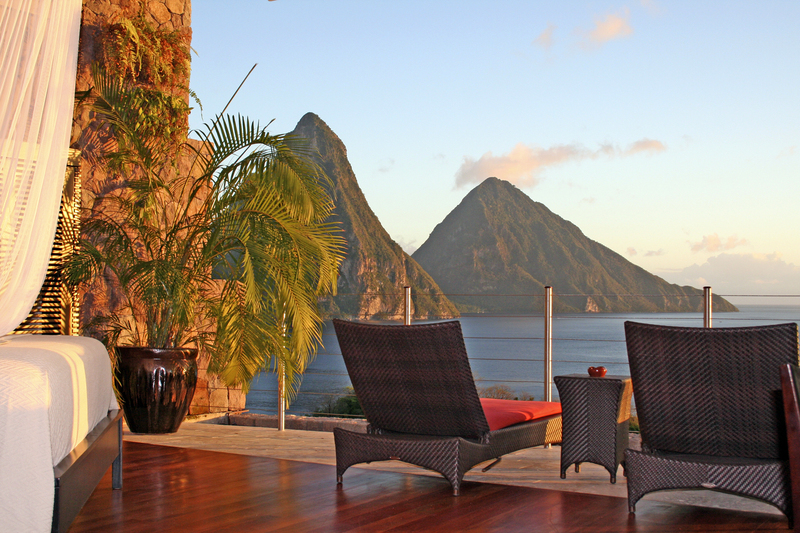 St Lucia harbours some of the most exclusive resorts in the Caribbean. 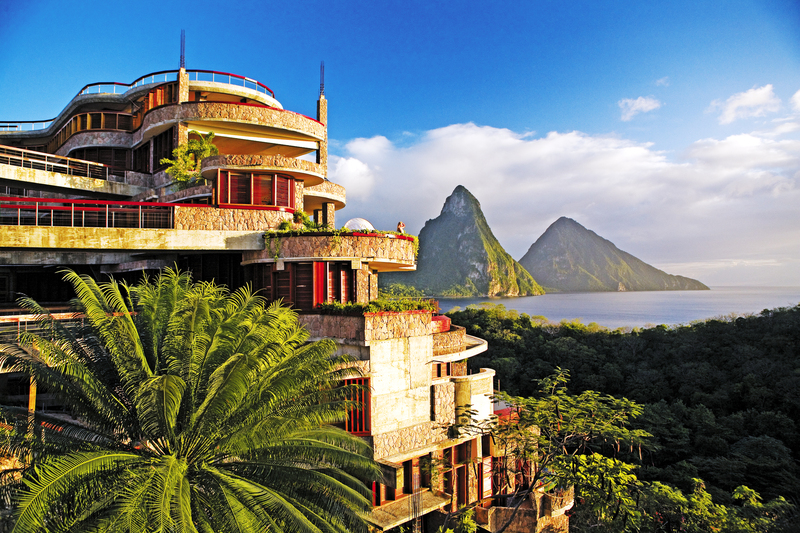 In addition, some of the most luxurious hotel brands in the world are opening a property on the island in the coming years, offering more competition to Jade Mountain that has been the most luxurious resort in St Lucia for years (while raising the bar for others). Ladera is one of the world’s most spectacular cliffside hotels, located along a 335 meters (1000ft) high ridge, with breathtaking views of the Pitons, the forested slopes of the south-west of the island and the Caribbean Sea. 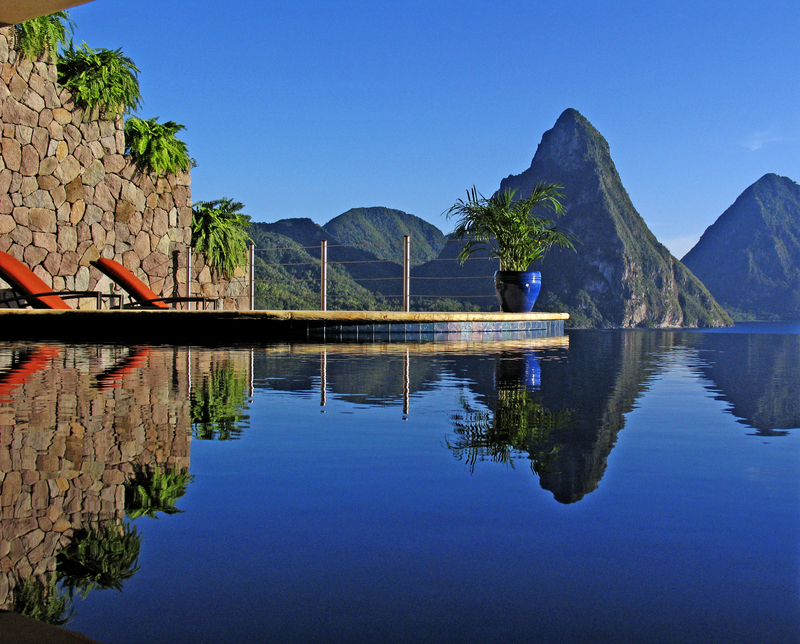 While the views from Ladera are even more spectacular than those at Jade Mountain (if that’s even possible after all), the resort is not as luxurious as Jade Mountain. In addition, it is a shuttle drive away from the nearest beach, and it needs renovation in certain areas. Nevertheless, its restaurant is highly recommended (and worth the trip when you want to spend the evening outside Jade Mountain). You can read my review of Ladera here. IMHO, Jade Mountain has only one real competitor on the island and that is Sugar Beach, a Viceroy Resort, a stunning, recently renovated hotel with a colonial architecture. 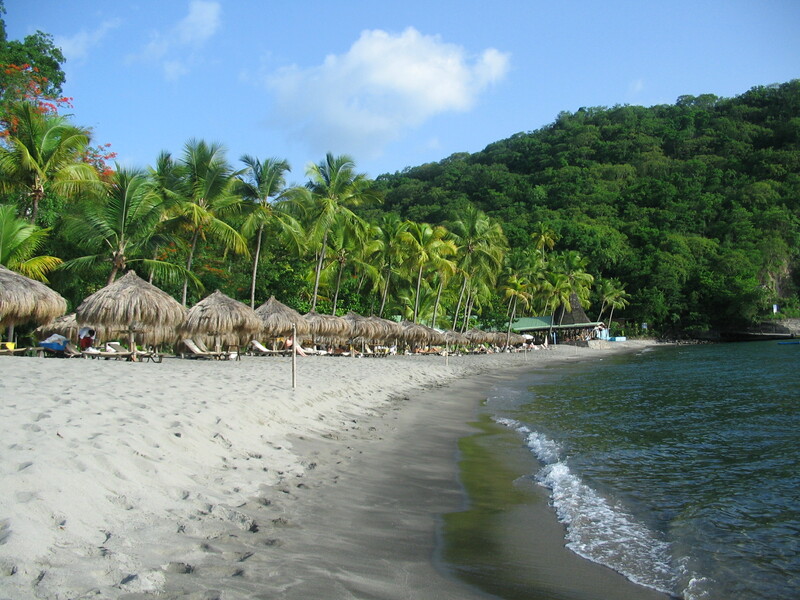 The hotel is located along a stretch of white beach between the 2 Pitons (offering breathtaking views). It has more of a beach vibe as compared to Jade Mountain, and it may be a good idea to spend your holiday at both resorts (and enjoying 2 different experiences) if the prospect of staying at a honeymoon hotel for one week is not your thing. Capella Marigot Bay (a rebranding of the original Marigot Bay hotel) is located about 30 minutes to the north of Jade Mountain. It’s located along a gorgeous bay, described by legendary American author James A. Michener as “the most beautiful in the Caribbean”. Nevertheless, the setting of Capella Marigot Bay is not nearly as spectacular as the scenery surrounding Jade Mountain. Capella Marigot Bay is adjacent to St Lucia’s premier marina and berthing place for mega yachts. The resort’s amenities are very luxurious (even more so as compared to Jade Mountain) but there’s no beach. The hotels in the North of the Island, such as Sandals Grande St Lucian, Sandals Regency La Toc and Cap Maison, are nice and have slightly better beaches, but they are not as luxurious as Jade Mountain, and most importantly, they do not offer the same stunning scenery as compared to the resorts located in the Souffrière area that Jade Mountains calls its home. 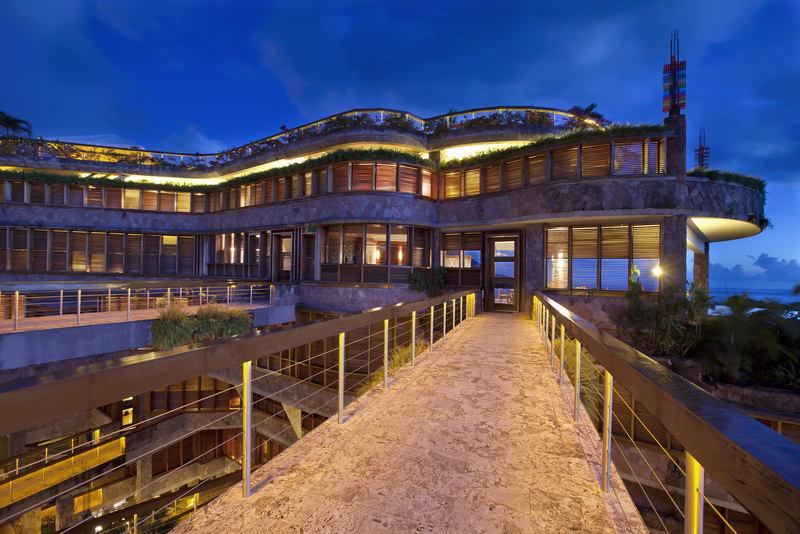 Hotel opening to watch: Six Senses Freedom Bay. The big difference between St Lucia and its Caribbean sister islands is the topography. St. Lucia is an outdoor’s paradise, with lots of flora, fauna, high mountains, jungle, a volcano, plantations and waterfalls. 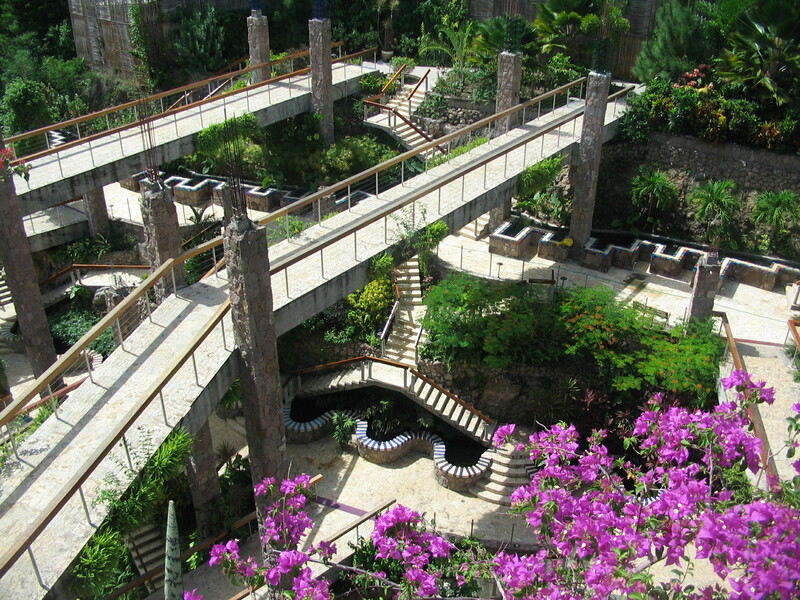 It is somewhat reminiscent of Hawaii’s spectacular scenery. 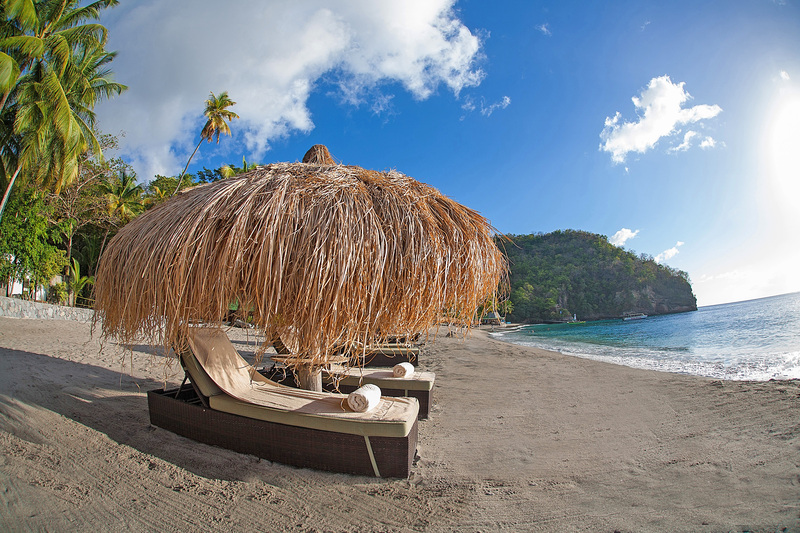 However, St Lucia’s beaches are not the best in the Caribbean as they are mostly composed of dark coarse brown sand, and pale in comparison to the sugar white beaches and turquoise waters of Anguilla, the Virgin Islands, the ABC Islands, the Bahamas, and Turks& Caicos. The dry, peak season on St Lucia runs from mid-December to April. In these months, accommodation rates are generally significantly higher than at other times of the year, but the weather is usually at its best. Rates are cheaper in the summer and autumn months, when it’s stickier and wetter – and note that St Lucia gets more rain than other less mountainous Caribbean islands such as Barbados or Antigua. Also bear in mind that the hurricane season runs from June to November, with September and October statistically the likeliest months for major storms. From/via Northern America: American Airlines (via Miami and New York), US Airways (via Charlotte and Philadelphia), Delta Airlines (via Atlanta), United Airlines (via Newark), Air Austral (via Reunion Island), Jetblue (via New York), Air Canada (via Toronto and Montreal), Air Transat (via Toronto and Montreal), Westjet (via Toronto).